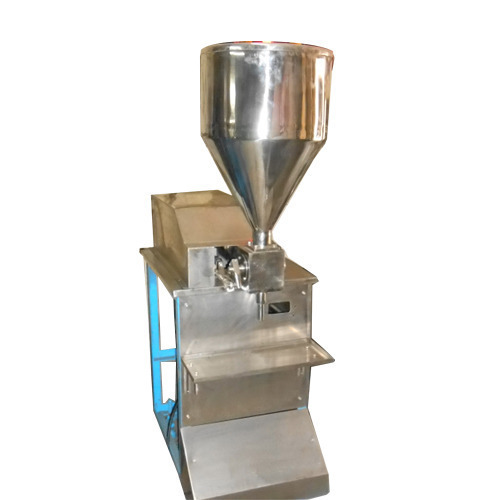 Grease Filling Machine - Since our beginning, we are engaged in presenting a wide range of excellent quality Grease Filling Machine. Simple operation is the main feature of machine. The piston and hopper of cylinder are made up of 316L stainless steel and (PTEF). It accords with GMP requirement. The filling range and speed are adjustable. Filling unit has function of leaking-proof, silk nuzzling-proof. Machine is able to change to multi-head, burst-proof and flood-proof filling unit according to requirement of customers. Since 2005, Royal Pack Industries we are dealing in packaging industry, we introduce ourselves as one of the best Packaging machine manufacture, wholesaler and trader in India. Today Royal pack industries is setting new standards in the manufacturing of packaging machines all across the india. Our in-house R&;;D facilities, rich industrial experience & expertise in Packaging Machines has given us a cutting edge for understanding your packing requirements & providing customized solutions. We offer a comprehensive range of world-class Packaging Machines that are renowned for their high-precision, durability, technical superiority, trouble-free, consistent and high-speed packaging at a very economical rate. With a very good team of after sales service, our customers are guaranteed complete satisfaction.